How do I sign up to pay my bill online? Please have available your most recent Dead River Company statement or invoice; your bank, credit or debit card account information; and your preferred email address. From any page of Dead River Company's website, click on the MyAccount "Sign Up" link. Complete the "MyAccount Online Account" form and then click "Submit." Shortly after clicking "Submit," you will receive a MyAccount confirmation email. It will be sent to the email address you submitted as part of the MyAccount Online Account opening form. Please click on the link in the email to confirm your email address. Once the email address is confirmed, you can then log on to MyAccount. For Customers with Multiple Account Numbers: Once you have clicked on the link in the confirmation email and have logged on to MyAccount, you can then add additional account numbers to your MyAccount. When will the log in information (Email Address and Password) for MyAccount be activated? Shortly after submitting your MyAccount Online Account form, you will receive a MyAccount confirmation email. It will be sent to the email address you submitted as part of the account opening form. To activate your online account, click on the link in the confirmation email. Once your email address is confirmed, you can log on to MyAccount. When can I start making online payments? Once you've clicked through on the link in the MyAccount Online Account Opening confirmation email, and log onto MyAccount, you can start making payments as soon as you have an account balance that is due. If I sign up for MyAccount will I continue to receive a paper bill in the mail? Yes, you will continue to receive a paper bill in the mail, unless you request to "go paperless." How do I sign up to receive MyAccount notifications via text message? Once you’ve logged on to MyAccount, click "Preferences" and then "Notifications." Here you can decide how you’d like to receive each type of notification. How do I inactivate an account enrolled in MyAccount? Please call our Customer Service team at 1-888-334-0961. A representative is available to assist you Monday through Friday, 8AM to 5PM. What happens to automatic payments if I cancel MyAccount? 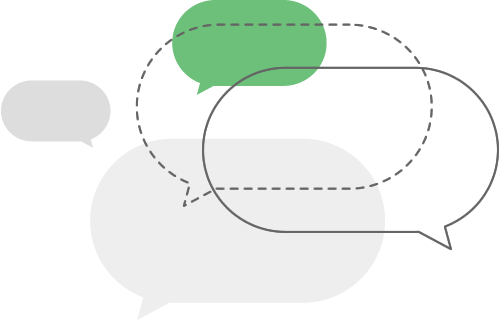 At the time you cancel your MyAccount, please discuss payment options with your Customer Service Representative. Where within MyAccount can I find my billing documents? Once logged on to MyAccount, your billing documents can be found under the "My Documents" tab. What types of payment methods are accepted through MyAccount? You can establish your "Payment Method" to be made through your checking account or you can designate a Debit or Credit Card: MasterCard, VISA, Discover and American Express. Once enrolled in MyAccount, simply log on and you will be directed to the MyAccount home page where you can view real-time account balance as well as transactional history details. You can then click the "Make a Payment" button. Select which account(s) and amount you want to pay and the date you want to make your payment, and you're done! IMPORTANT: It can take up to the end of the next business day to post payments to your account. Please submit your payment by 11PM Eastern Time at least one business day prior to the date your payment is due. This will ensure your payment is posted to your account on time. A business day is considered Monday through Friday, except for federal or state holidays. Can I establish regularly scheduled payments? Yes, if you are enrolled in a monthly budget plan (EasyCAP, Equal Payment Plan or Fixed Priced Budget), you can set up automatic monthly payments through MyAccount. 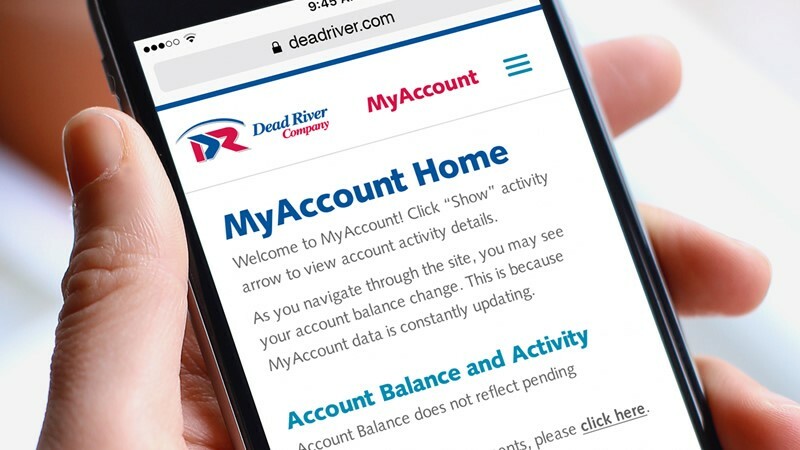 If Dead River Company currently processes automatic monthly payments for you, please contact your local office if you establish online automatic monthly budget payments via MyAccount. Automatic monthly payments can be set up for EasyCAP, Equal Payment Plan or Fixed Priced Budget payments, only. It can take up to the end of the next business day to post payments to your account. Please submit your payment by 11PM Eastern Time at least one business day prior to the date your payment is actually due. This will ensure your payment is posted to your account on time. A business day is considered Monday through Friday, except for federal or state holidays. What if I forget my log on Email or Password? Email Address: If you forget your Email Address, you may reset it on the MyAccount log on screen by clicking on "Forgot Password?" Password: If you forget your password, go to the MyAccount log on screen and click on the "Forgot Password?" link. If you cannot remember the answer to your Security Question, please contact our Customer Service team at 1-888-334-0961. A representative is available to assist you, Monday through Friday, 8AM to 5PM. How do I change the email address associated with MyAccount? Please log on to your MyAccount and under "Preferences" click "Change Email." Once you've logged in to MyAccount, click "Payments" and select "Payment Methods." What happens to scheduled payments if I delete the bank account that was used to set up the payment? All payments with a "Scheduled" status will be cancelled. Please call your Dead River Company office and speak with a Customer Service Representative to make other payment arrangements. - Jim & Beth R.